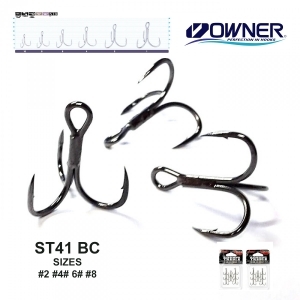 2X strong with a corrosion-resistant black chrome finish, are the ideal replacement hooks for improving the hooking power of heavy freshwater and most varieties of saltwater plugs, spoons and die-cast jigs. Lethal when used as a “stinger” for rigging natural baits. Features include a short shank, round bends and three slightly curved in Cutting Points™.